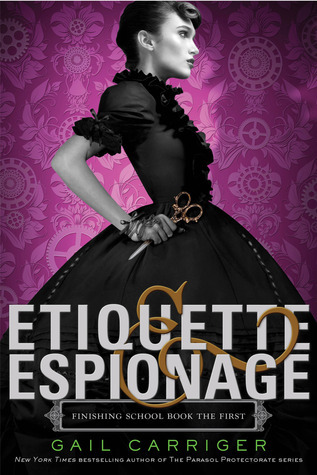 Review: I read part of Gail’s first series, The Parasol Protectorate, and was extremely excited when I learned she was writing a YA series. She really sold me on Steampunk. Her character’s are unique and solid within themselves. This is set in a different time, not to mention that there are different creatures in this world as well, but she does a wonderful job at keeping the character’s true to the time, and still very relatable. Her description is wonderful. I love the steampunky words used to describe the machines and the funny names of the machines themselves. Also, the names of characters are extremely unique. You won’t see them in any other YA novel, that’s for sure! Overall, I love Carriger’s pith. She gives every chapter a purpose, but she throws a dash of hilarity. Mostly, the pith is all in the language and conversation, which makes reading in this time setting completely lovable! I haven’t read any of these, but I had to reblog since the genre is listed as YA AND Stempunk! Wow.